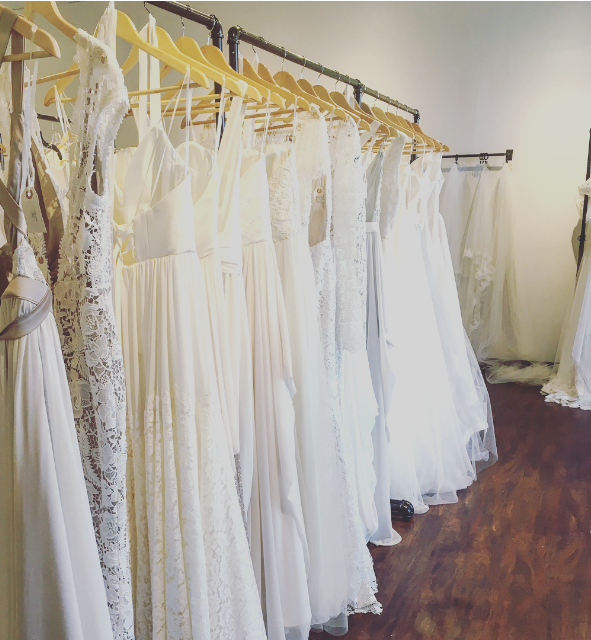 juno bridal - What is a Trunk Show? So you keep hearing that you must check out these little events called "trunk shows" and you have no idea what that means. You aren't the only one. Let's break it down. Most bridal salons only carry a handful of dresses from each of their designers. During a trunk show, bridal salons have a much larger selection of dresses from the featured designer. But the best part is, there is usually a discount associated with the show. Juno Bridal gives 10% off the featured designer during trunk shows. When you're planning a wedding every little bit counts! Trunk shows usually only run over one weekend and they book up fast so plan ahead and book your appointment in advance! Check out our upcoming trunk shows here.